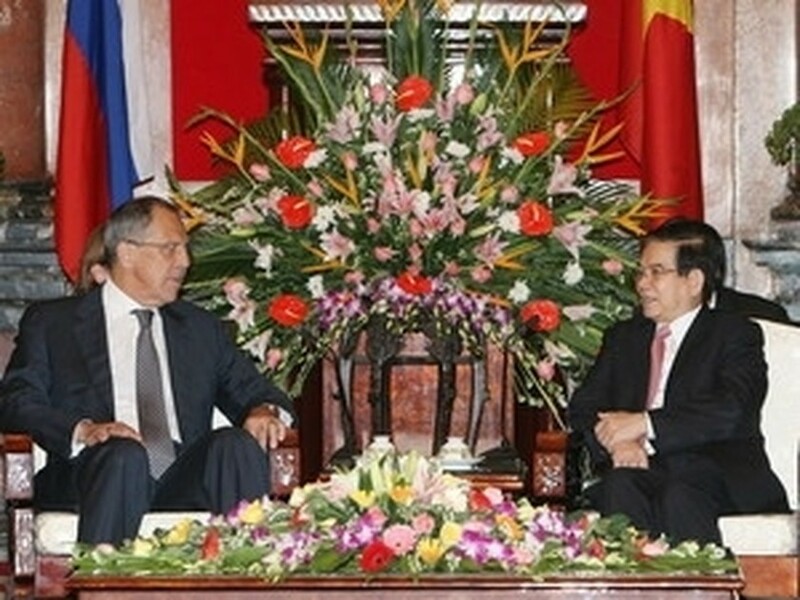 State President Nguyen Minh Triet on July 22 received Russian Minister for Foreign Affairs Sergei Lavrov while he is in Vietnam to attend the ASEAN Regional Forum and the ASEAN-Russia Foreign Ministers’ Meeting. Both expressed their pleasure at the development of the two countries’ relationship over the past few years, especially in politics, security, defence, economies, trade, culture, education, science and technology. Triet said that he believed the visits by senior officials, including the recent visit by Party General Secretary Nong Duc Manh to Russia have helped the strategic partnership between the two countries to flourish, adding that Russia is an important strategic partner for Vietnam. “The State and people of Vietnam wish for further consolidation and development of the friendship and cooperation with Russia,” he said. He also praised Russia’s role and contribution to ASEAN, adding that Vietnam is preparing to welcome President Dmitry Medvedev at the second ASEAN-Russia Summit. In his reply, Lavrov said he believed that President Medvedev’s official visit to Vietnam will create new momentum for the strategic partnership and comprehensive cooperation between the two countries forward. He also affirmed Russia’s support for ASEAN’s role in ensuring security in Asia.